Concord Chamber Singers has been delighting audiences for more than 50 years throughout the Lehigh Valley, the United States, and Europe with a repertoire of live music, including classic and contemporary works. Dr. Jennifer Kelly took over leadership of CCS in 2012 when the group’s founder, Blaine Shover, retired. Under her direction, the chorus has continued to entertain audiences with a wide variety of music, such as "An Evening with the Mendelssohns"; Carol Barnett's The World Beloved: A Bluegrass Mass; John Rutter's Magnificat and Mass of the Children; Ola Gleilo’s Sunrise Mass; Emma Lou Diemer’s Mass; as guest chorus for "Video Games Live!" with the Allentown Symphony; and performing world premieres by Gabriela Lena Frank and Hilary Tann. A mission-driven organization, CCS highlights our community with annual performances for Kirkland Village and the Lehigh University Baccalaureate; a tribute to our Lehigh Valley veterans in a concert featuring music from the World War II era; has performed at Musikfest; and opens various Iron Pigs games with the National Anthem. CCS continues to support our community by hiring local musicians and caterers, partnering with local businesses, and offering tickets for local fundraisers. 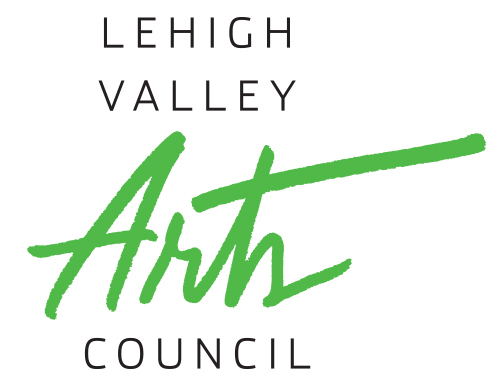 Over the years, we have collaborated with numerous ensembles, including the Allentown Symphony and Pops Orchestras, The Allentown Band, Philadelphia Brass, Chiara String Quartet, Dave Roper Trio, Louie Setzer and the Appalachian Mountain Boys, Lafayette College Choirs, and Lehigh University's Choral Union. Most recently, Emmet Cahill of Celtic Thunder invited CCS to sing with him during two concerts in Bethlehem, Pa.
CCS celebrates its members, many of whom travel from all over the Lehigh Valley and beyond to sing with one another on Friday evenings. Together, we celebrate marriages, births, new jobs, and we mourn deaths. Members are featured soloists in major works and cabarets and have input in repertoire and future directions. Known for our energy, versatility, and storytelling, CCS has a tradition of singing throughout the ages, from intimate pieces to large-scale major works with orchestra, and from all-music concerts to storied feasts featuring the theatrical talents of our members. We have also enjoyed three European tours and look forward to our fourth! Additional highlights over the years include: a special appearance during a Kenny Rogers' Christmas Concert at Lehigh University's Stabler Arena; choral prelude music at the National Cathedral of Saint Peter and Saint Paul in Washington, D.C., as part of their Evensong Lenten services; and joining the Lehigh University's Choral Arts in performances of Brahms' Requiem, Schoenberg's A Survivor from Warsaw, and Verdi's Requiem. In addition, CCS has performed Mendelssohn's Elijah; Haydn's Creation; and Cherubini's Requiem in C minor in collaboration with the Concerto Soloist Chamber Orchestra of Philadelphia. In August of 2001, CCS performed Sing for the Cure™: A Proclamation of Hope at Music in the Mountains in East Stroudsburg, PA. The concert was sponsored by Shawnee Press to benefit the Susan G. Komen Breast Cancer Foundation for Breast Cancer research. Committed to bringing quality music to our greater community CCS consistently strives to uphold its mission: to foster excellent singing and impactful storytelling while engaging communities in the vibrancy of the choral art. Thanks to our singers, board members, audiences, donors, and supporters, Concord Chamber Singers has already begun the next 50 years of superb music making!